Havaianas are indeed the best flip flops in the world, designed, marketed and manufactured in the sunny and colorful country of Brazil! Add some color and life to your summer, join our blog giveaway and get a chance to win a pair for your beach trips and getaways this year! 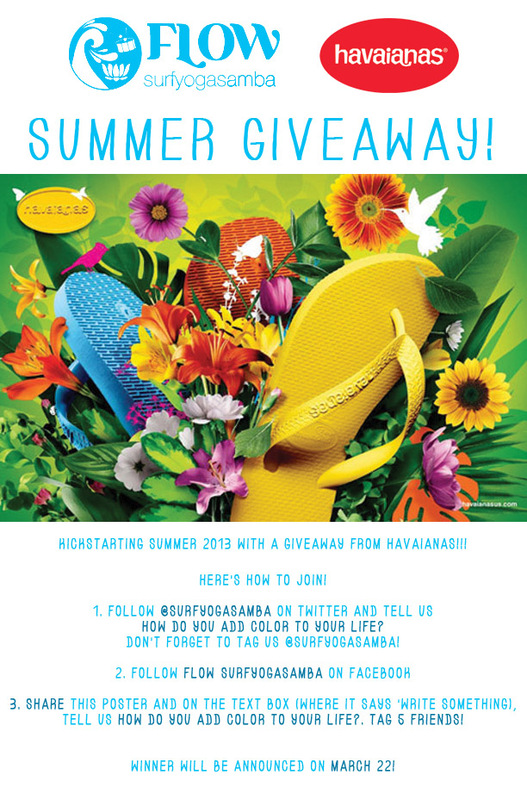 Don’t forget to tag us @surfyogasamba! ‘How do you add color to your life?’ Tag Flow SurfYogaSamba + 5 friends! Winners will be announced on March 22!